Caring for your reproductive system is important for a woman's overall health. 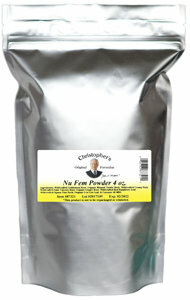 Dr. Christopher's Nu Fem Pwd supports the reproductive system & aids the body in hormonal balance. Also available in Capsule & Extract (Female Reproductive) form.